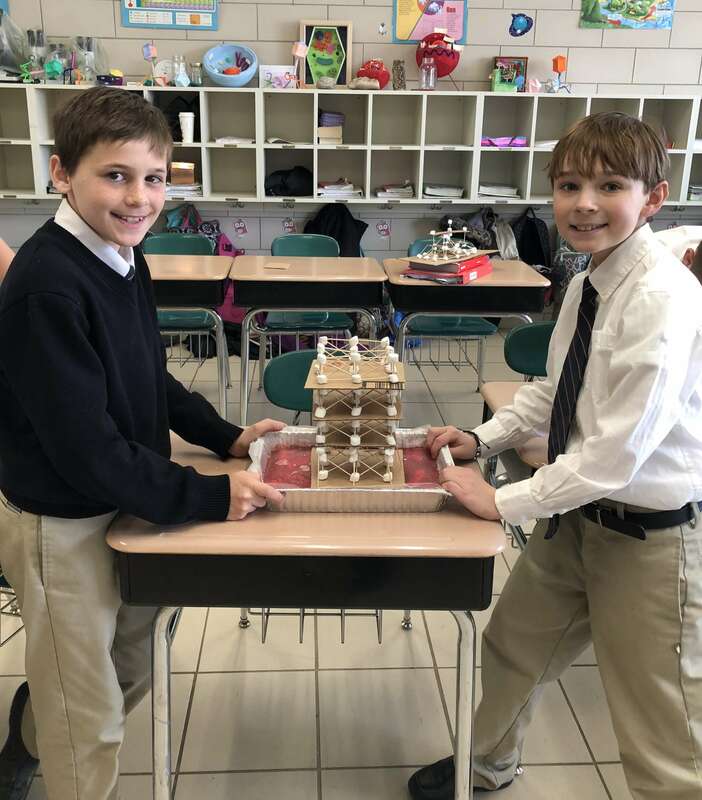 After studying earthquake safety and having multiple hands-on demonstrations on safe building structures, the sixth-grade boys put their new knowledge to the test. 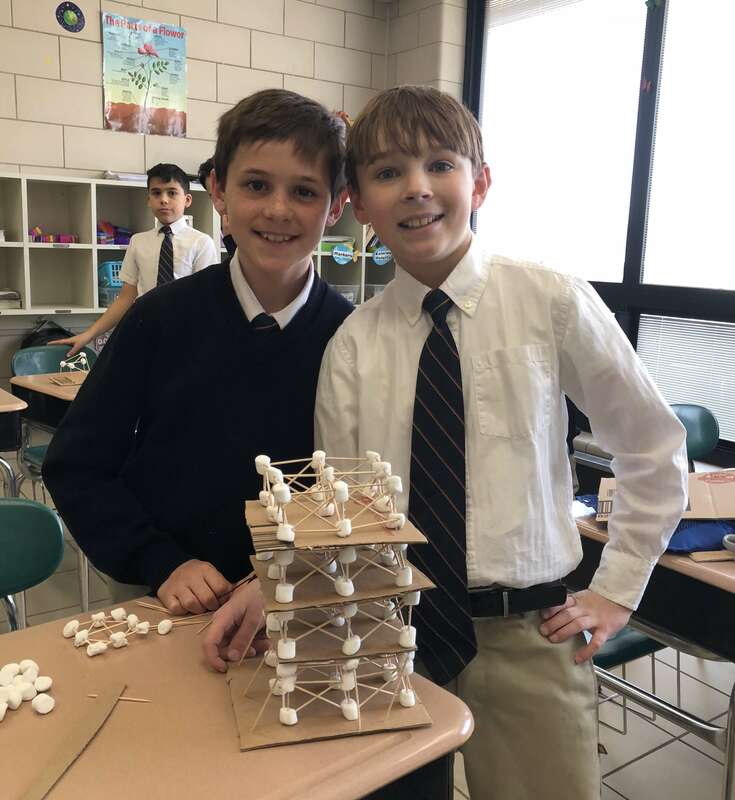 Their challenge was to use the information they learned and construct an earthquake-safe building out of toothpicks, cardboard squares, and mini marshmallows. Their structure was then placed on a pan of jello — the “earthquake” simulator. 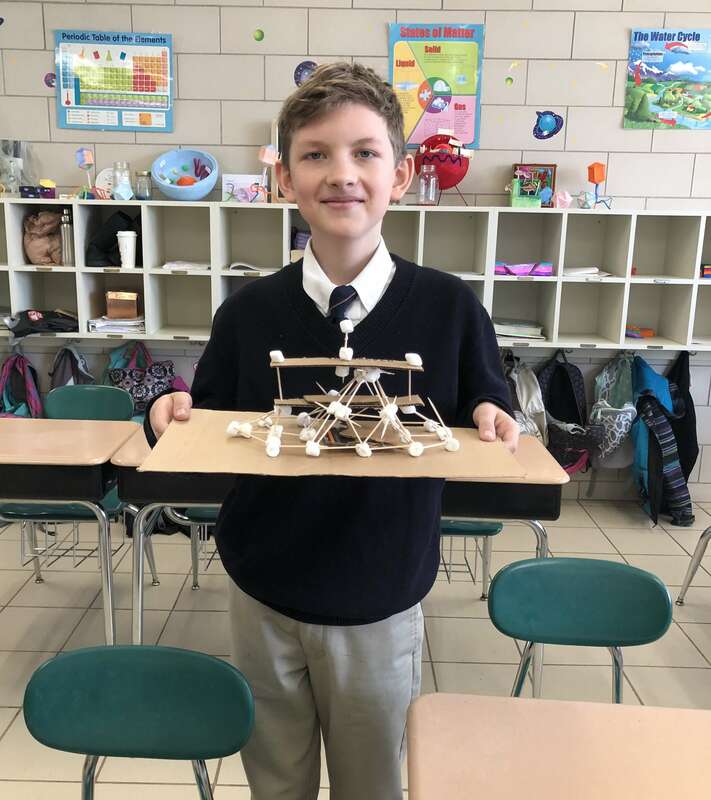 Each structure needed to stay intact for 15 seconds on the shaking jello. If not, the students had a chance to rethink their creation and try an additional time to build a sound structure.